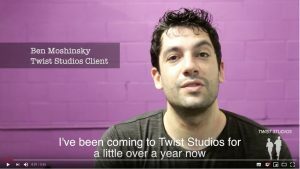 *Twist Studios, Twist Community Studios Limited and Twist Functional Studios Limited have the same Business Policies so will be referred to as ‘Twist Studios’. If you access and use this Website (the “Site”), you accept and agree to be bound by and comply with these terms (the “Terms”). All products and services of Twist Studios and its subsidiaries and affiliates are subject to the terms and conditions of the applicable agreements governing their use.  All services purchased from Twist Studios must be preceded by the applicant acknowledging, by way of completing a PAR-q form, that he/she has no physical limitations preventing him/her from participation. It is the applicant’s responsibility that this is completed. PAR-q forms are available online and/or in the Studios so please ask the instructor. If any information changes please let the instructors know immediately. All applicants under the age of 18 years must have consent, in written form, from a parent or guardian. The applicant also agrees to abide by the rules and regulations of the studio and acknowledges that these rules and regulations may change from time to time. Furthermore, all applicants release Twist Studios, its owners, directors, managers and all employees of all liability regarding 1) any injury to self or child 2) any loss or damage to personal property. If purchasing packages that require payments to be made in installments, the applicant agrees to approve such installments to be made by credit or debit card on the dates as predetermined in the services contract. 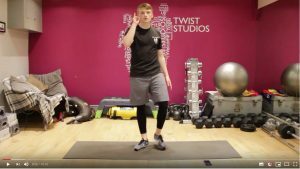 To register or purchase from the Twist Studios online booking system, you must be over sixteen years of age. You must ensure that the details provided by you on registration or at any time are correct and complete. All Credit and Debit Cards will be processed in £ (GBP) at the time of payment. Twist Studios is not responsible for any fees, charges, exchange rates or additional charges levied by individual financial institutions or Credit Card companies. If your scheduling conflict is known in advance and we are notified at least 24 hours ahead of time, it is possible to make the session up at a later date. Products, which are defective or damaged upon arrival, may be returned immediately for exchange. Twist Studios will never sell trade, rent, exchange or otherwise share your personal information with any other person, company or organization. Except if Twist Studios is required to do so by law or court order.